When Missourians think crappie fishing, most think about Truman Lake or Lake of the Ozarks as go-to destinations. They’re not wrong, but they are definitely missing out if they haven’t considered Stockton Lake. On a recent trip, I had the opportunity to fish Stockton with Tandem Fly Outfitters, a premiere guide service for the lake. They showed me why it might be one of the best kept secrets in the state. 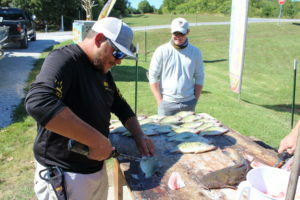 Kris Nelson, the owner, leads a two-man guide crew that includes himself and cousin, Cole Boyd. They act more like brothers joking about which one is the A-team or B-team, but don’t let that fool you. Both of these guys are fish catching machines and will put you on the fish in a hurry. 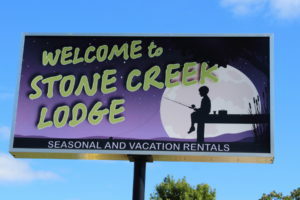 We took off from a boat ramp conveniently located less than five minutes away from Stonecreek Lodge, which is also owned by Kris and his wife, Amanda. Although Cole told my good friend, Payden Hays, and I the white bass hadn’t been cooperative lately, we still wanted to give it a try. Making our way to the dam, we noticed fish rising sporadically, but nothing that lasted long enough for us to get our lines in the water. 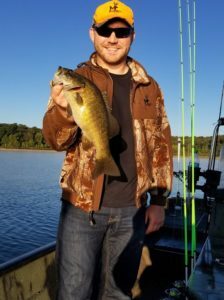 Before we moved onto crappie, I did manage to land my personal best smallmouth bass that was chasing shad near the surface. I had caught river smallies before, and I always enjoyed the fight. But this fish was by far the hardest fighting bass I’ve ever caught, and that’s including some big largemouth! He measured just under 16 inches and weighed about two pounds. When we decided to move on, Cole pulled us up to a brush pile and the crappie bite was on. Payden and I both pulled nearly half our limits from the first pile alone. We had just been talking about doing things by the books when a conservation agent pulled up to our boat. I started getting ready to show my fishing license, but it turned out he just wanted to chat and see how we were doing. He wished us luck and was on his way. To me, it was just further evidence of the strong reputation Kris has built for his business in the area by always doing the right thing. That interaction clearly showed the esteem that Stockton community members hold for Kris and Cole. All it took was two more brush piles and we had our limits of crappie. I think they made me a new customer for some of the Lews crappie rods they had us using, too. By the time we got off the water, we had landed eight different species of fish. That is hard to beat on one day in Missouri! Perhaps the best part on the water was Cole not only baited our hooks, but also unhooked all our fish as well. I’m so used to doing everything myself, it took me by surprise. Pretty soon, I was loving it. Sometimes it’s nice to have a break from the “work” involved with fishing. Whether you are an experienced angler or not, Tandem Fly Outfitters does everything to make it the easiest trip possible. Literally, all you have to do is catch the fish. The rest is taken care of for you. When we returned to the lodge, Cole and Tyler Harden made quick work of our fish and bagged them up nicely. I spent some time getting things packed while already thinking about when I could make my next trip. Everything about the experience was exceptional. The pricing is very reasonable and the lodge is located very close to the lake. 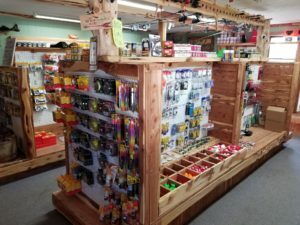 Even if you’re not staying there, the shop has a great selection of tackle available, as well as live bait. Best of all, the hospitality from Kris and his staff makes you feel right at home. At just about two hours from Kansas City, and an hour from Springfield, Stockton Lake should be at the top of your list as a go-to fishing destination in Missouri. Be sure to give Kris Nelson at Tandem Fly Outfitters a call to make it the trip of a lifetime. 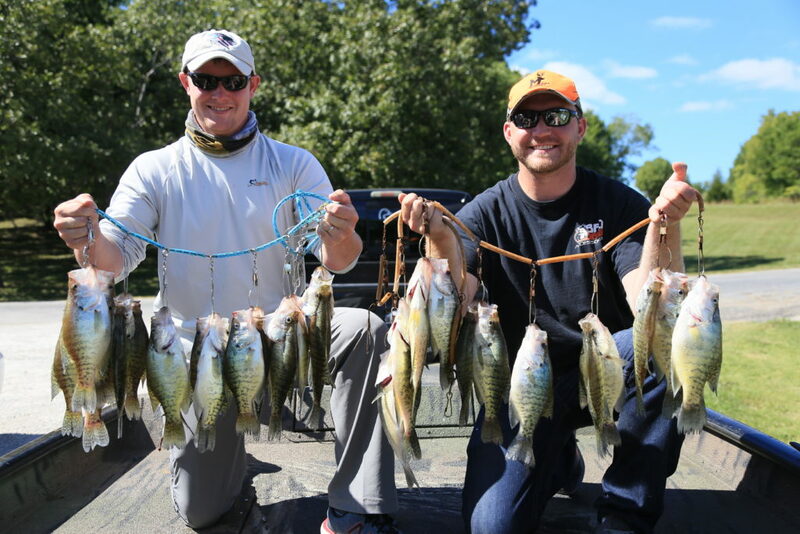 Crappie Fishing, Fishing, Mahoney Outdoors, Stockton, Stockton Lake, Tandem Fly Outfitters, Tyler Mahoney. Bookmark.